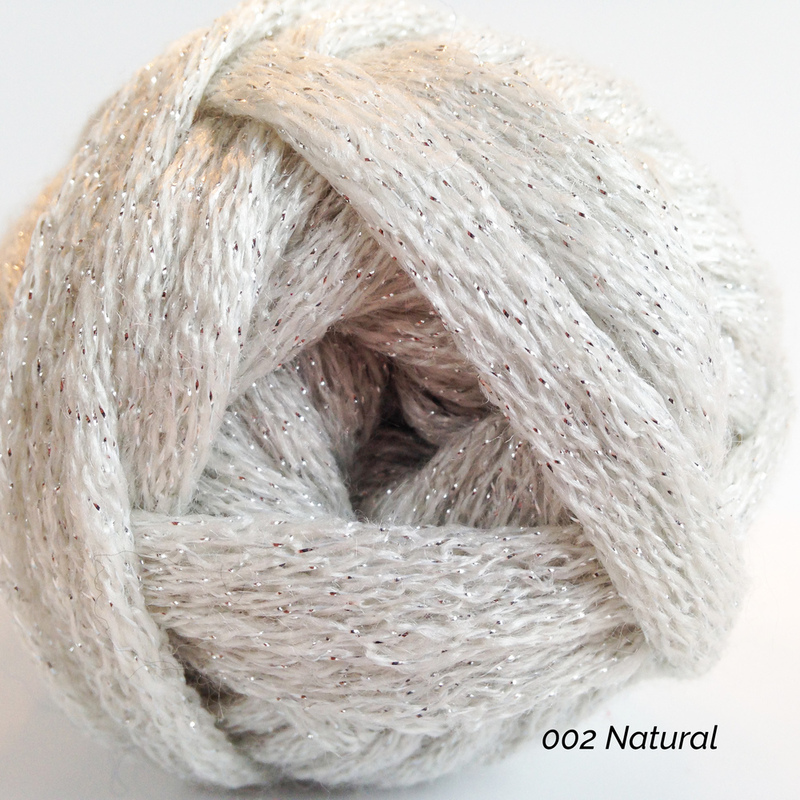 A new, limited edition scarf yarn. The ever-popular ruffle knit construction with added sparkle. One ball makes one scarf , and it's a very quick and easy project. The pattern is on the ball band.